I think we all fancy him a bit in The Labyrinth. And I think that ball gown scene influences my style more than it probably should :L Love these trousers, completely agree regarding the hip situation so love the idea of a high waisted pair! Those trousers look lovely on you! Gorgeous trousers, and I totally agree with you high waisted all the way! God I love Labyrinth, best movie ever. Those trousers are immense! Off to check asos now. love this perfect outfit, as always..! 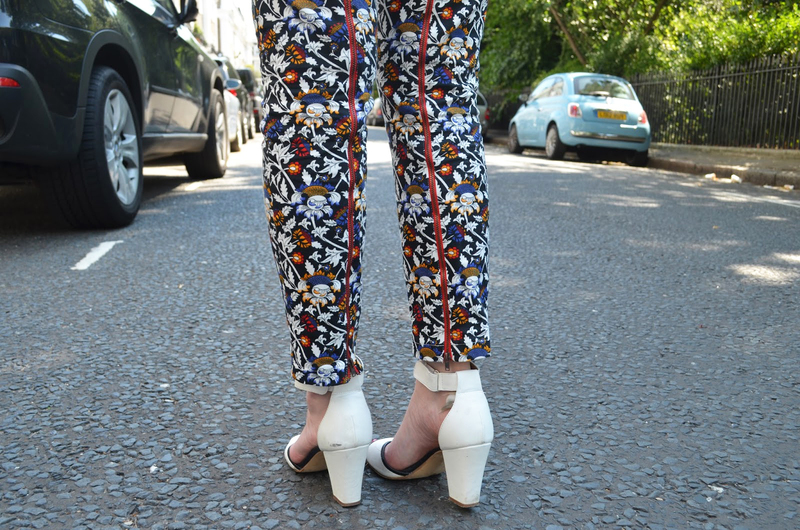 Love your trousers! Such striking print! Stunning look! 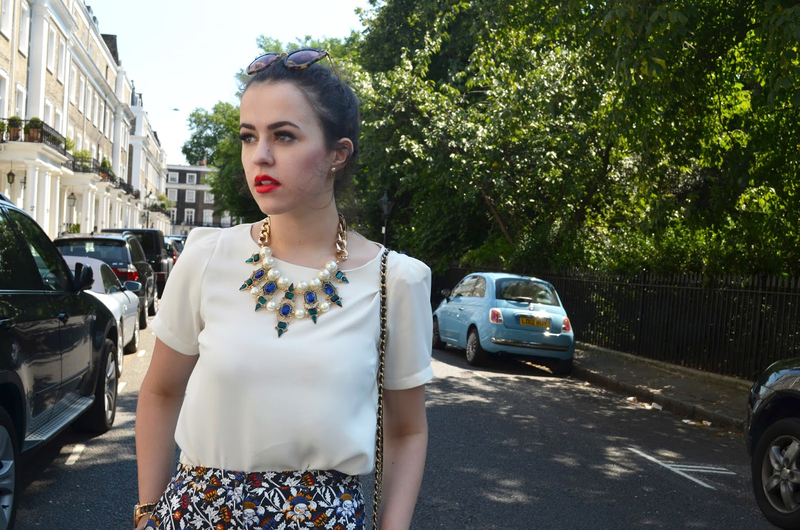 I love where you've taken this outfit-what a beautiful part of London! 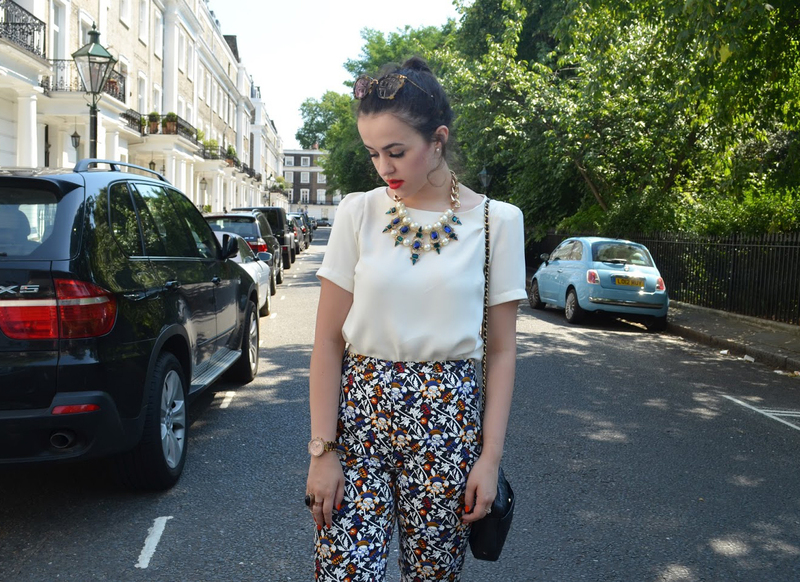 Looove the trouser print, and that necklace is gorgeous! The trousers are gorgeous! 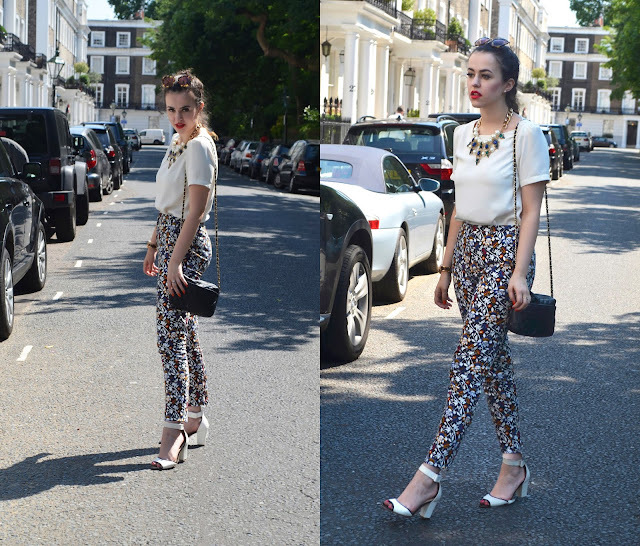 I love a printed pair myself but totally agree, high waisted is always best! I know the feeling, these ones are perfect and the prints are gorgeous. You look stunning. This may be one of your favourite outfits EVER, I love the trousers and Ziggy red should definitely be a thing! Those trousers!! <3 im in love <3, loved the way you styled them <3 so chic.